Reynolds Cafferata was one of the members of the legal team honored with a Clay Award from the Daily Journal and callawyer.com for ground-breaking legal work in the Estate of Duke. In the Estate of Duke, the California Supreme Court held that a will with unambiguous terms can be reformed to reflect the testator’s true intentions. The decision reversed decades-old precedents and hundreds of years of common law. A cardinal rule of interpreting a person’s will was that if the language of the will was clear on its face, no matter what evidence was produced that showed that the will did not follow the decedent’s intentions, the terms of the will could not be altered. In the Estate of Duke, Irvin Duke left his estate to his wife of many years. He then provided that if he and his wife died at the same moment, his estate was to be distributed to two charitable organizations in honor of his family members. Duke’s wife was much younger than he, but he ended up surviving her by more than a year. Additional evidence showed that Duke was estranged from his family members and was a generous supporter of one of the charities named in the will. Relying on a California precedent construing a similarly worded will from the 1960’s, the trial court determined that the language of Duke’s will was unambiguous: the gift to the charities was to be made only if Duke and his wife died at the same moment. 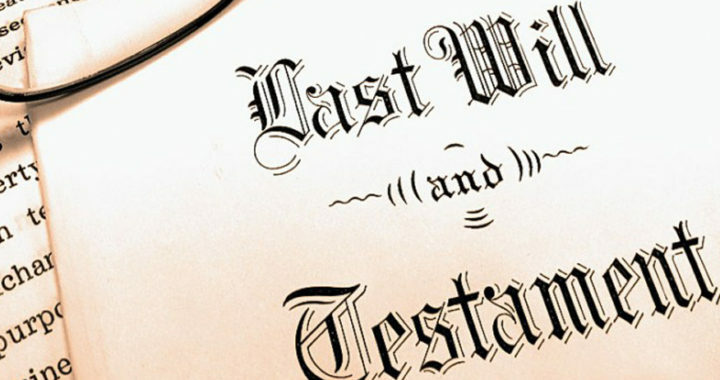 Since Duke and his wife did not die at the same moment, the trial court ruled that the estate passed by intestacy since there were no other provisions in the will. Being bound by the same precedents, the Court of Appeals reluctantly affirmed the trial court’s decision. The California Supreme Court granted a review, and in August of 2015 reversed the lower courts’ rulings. The Supreme Court held that if a court finds by clear and convincing evidence that a will, even if unambiguous, does not reflect the testator’s intent, and the court finds by clear and convincing evidence the actual intent of the testator, the court can reform that will to carry out the testator’s intent. The Supreme Court noted that all other forms of legal documents can be reformed to correct mistakes and that with safeguards, a mistakenly drafted will should be corrected as well.